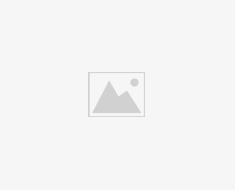 Yesterday afternoon the triumphant Barcelona football team arrived back in el Prat airport, Barcelona at 6 o’clock. 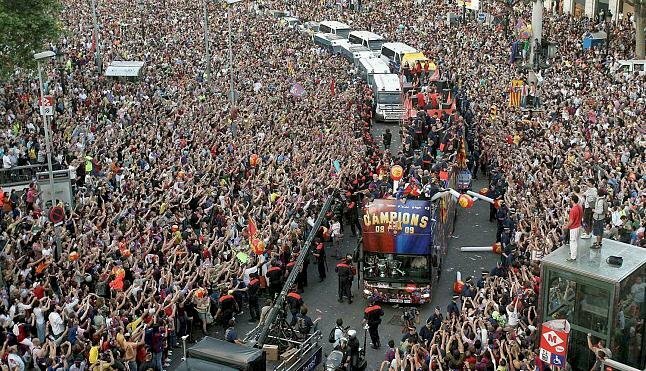 They were welcomed home by hundreds of thousands of fans who lined the streets of the city for the team’s victory parade on an open air double decker bus and packed into the Camp Nou where the celebration ceremony was held. The city was awash with Barcelona’s colours and organisers said that about 750,000 citizens of Barcelona turned out to see the victory parade on a 7 kilometre route around the centre of the Catalan capital culminating in Camp Nou. 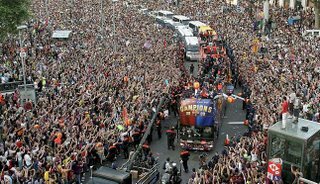 The bus took almost two and a half hours to reach Camp Nou which was filled to bursting point. Barcelona’s decisive 2 – 0 victory over Manchester United in Wednesday’s final could be down to manager Guardiola’s unusual way of motivating the team before the match. It turns out that he told the warm-up trainer that he wanted 7 minute’s of the team’s warm-up time, so the players were called off the pitch early and taken to the dressing room where Guardiola was waiting with a film compiled by him and Catalan journalist, Santi Padró. Guardiola turned out the lights, asked for silence and put the film on. The video which was shown on a giant screen in the player’s dressing room consisted of clips from the Oscar winning film Gladiator starring Russell Crowe. The video also included clips of the players’ faces as if they were the gladiators and showed some of their most brilliant pieces of play together with some spectacular goals. It was accompanied by the emotive soundtrack from Gladiator. The film finished to the rousing music of the final act of the opera Turandot by Giacomo Puccini was played at full volume while the following words appeared on the screen: We are the centre of the pitch, we are precise, we are our effort, we are attackers who defend, we are defenders who attack, we are respected by our rivals, we are recognised by our rivals, we are every goal that we score, we are those who always look for our opponent’s goal, WE ARE ONE. It has been reported in the Spanish press that when the lights went back on in the dressing room some of the players were moved to tears. Spain’s biggest bank makes a bid for Abbey National.